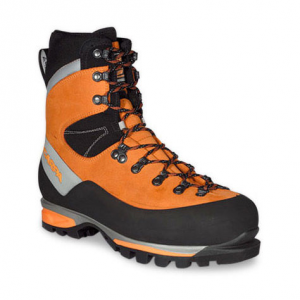 Excellent overall boot, especially for technical alpine work. Surprisingly comfortable fit. I've always had to use a stiff boot due to injuring both ankles in a bad skiing tumble ages ago. After using my Kastinger Denali boot for close to 35 years (and going through three sets of soles), I decided to move up into something new. I chose Lowa as their boots usually fit my feet the best of all brands. I originally wanted the Silberhorn, but I waited too long, and they were sold out. I had a bit of sticker shock originally — $440 for Silberhorns, and $460 for the Weisshorns. However, once I considered that I paid $200 for the Denalis 35 years ago, I guess these prices are not out of line. When I opened the box, the first thing I noticed was the bright glare of the Lime Green color. I've already had more than my share of Shrek and Kermit jokes, and a while back a teen-aged girl asked if I would give her the boots because she though they were "so cool looking". I am in the process of trying to transform the color toward a more reasonable brown (good old Kiwi polish), but the excellent waterproofing of the Weisshorn is making this a long term project. When I put the boot on the first time, I had to double check that I received the correct boots. 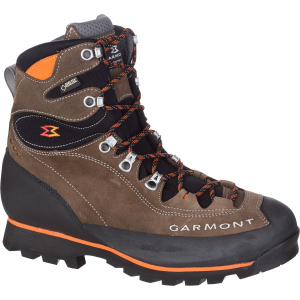 These boots are LIGHT for a stiff mountaineering boot. Compared to the Asolo TPS 520 boots I had, these are only about half a pound more per pair. Not only are they light, the rocker and very slight forward flex make these boot a pleasure to walk in — gone is the Frankenstein clomp. The next item to finding the best fit is learning to use the unique lacing lock Lowa has on these boots. There are a pair of triangular-shaped cam locks midway up the lacing. Making sure the cam locks are open (aimed outward), the lower lacing can be adjusted for best foot comfort (I use a surgeon's knot within this section to help fine tune this lacing). Then close the cam locks into their locked position (turned inward, the natural position when getting ready to continue lacing the boot). The cams work like a set of Jumars, preventing the lace from being pulled through the cams. With the cams locked, the ankle part of the lacing can be made very tight to lock the heel without affecting the lower lacing. Three sets of hooks help finish the lacing. There is one VERY SERIOUS CAVEAT on lacing these boots. The laces go through a pair of loops right after the cam locks (this is the part of the lacing that locks the heel). 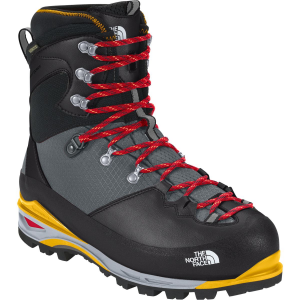 The outside loop of each boot has a protective leather cover to keep the loop and lacing from being damaged by contact with rocks when climbing. It is possible to pass the lace between the leather cover and the actual loop — I did this accidentally on both boots. The leather covering is sewn to the loop, and this sewing will actually hold the lace for quite a while before suddenly letting loose. So double check that the lace is actually through the loop when reinstalling the laces, not between the leather and the actual loop. The boot is fairly tall for a mountaineering boot. However, the neoprene cuff, combined with the synthetic material and thick tongue, prevent any pressure on the shins or back of the leg. The factory waterproofing of these boots is extremely good. When I first tried to augment this with Sno Seal, the factory waterproofing allowed very little Sno Seal to be absorbed. Only until I used the boot quit a bit and got them scuffed, Sno Seal was not really needed at all. 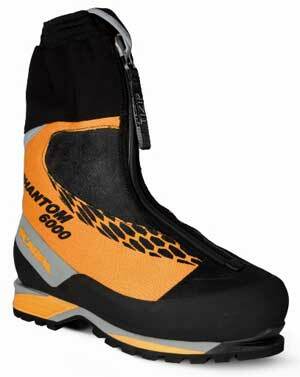 Even though these boot are very light, the Thinsulate insulation makes them very warm. So far I've had them out to -10 without and cold spots. Hopefully this coming winter I'll be able to see what they do at lower temperatures. Surprisingly, these boots do not overheat my feet during summer hiking -- they seem to keep my feet comfortable at all temperatures. I was concerned the forward flex would compromise actual climbing. However, this flex is limited, and standing on the toe is quite secure. I could not get any lateral flexing on edging, and the ankle is just flexible enough for comfortable "flat-footing". The synthetic materials in the ankle portion of the boot make them pleasing flexible for walking, but still plenty stiff for front-pointing. Once you get the tongue and lacing figured out, the heel is completely locked in its pocket, allowing complete control of the boot. This also prevents blisters. There is sufficient "wiggle" room for my toes to prevent pinching, and the arch support is superb. The sole is cut narrow, so there is no overhang past the boot edge. This makes edging extremely stable and confident. The boot takes my Sabertooth crampons without a hitch -- in fact, all side points are perfectly aligned with the sole edges, making mixed climbing much easier (I always know where both the inner and outer crampon points are). The tread pattern is not the traditional Vibram "waffle-stomper", but has more tapered edges on the lugs that don't collect rocks and mud as readily as the "standard" pattern. As with all hard sole compounds, be careful on slippery wet rocks. 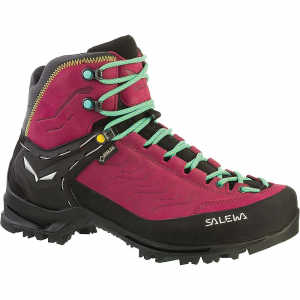 The Weisshorn is not a good fit for someone who just wants a heavy duty backpacking boot. I thing the Lowa Mountain Expert or Cevedale would be a better choice in that event. 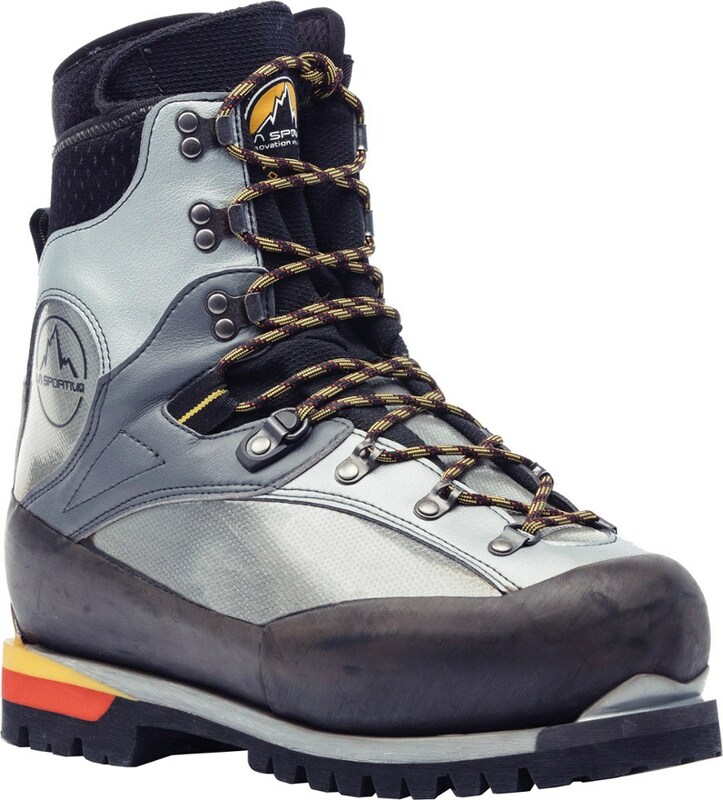 But if someone is looking for a very good overall alpine boot, this is definitely the boot to get. Thanks for sharing this helpful review, Waldy. I'd love to see a picture of your boots, if you're willing to add that to your review. Alicia, I'll see what I can do. The lace locks are Lowa's gift to solving multi-zone tightening, and the leather lacing protection is a great idea (even if it caused a minor problem for me -- the stitching actually held for four days of hiking!). My Mammut Mamook mountaineering boots have a zone lacing system like the one you describe, I love it. I am glad other boots are using a similar feature. The TNF Verto S6K have something similar to lock the lacing down at the ankle - a great feature. If it is not already kind of standard it should be I think. Really good review, thanks Waldy! Really making me hover between the Nepal Extremes and the Wiesshorns, and I think the Lowas actually have the edge for me! Versatile mountaineering boot with good performance that won't break the bank. Good for general mountaineering. This boot does a lot of things well. It's flexible enough to wear on medium to long approaches without killing your feet, yet it's stiff enough to use while front pointing on water ice. I chose Lowa because I have a wide foot with a high instep and I knew that I could get the fit I was looking for because of being a previous Lowa owner. The slanted top cuff allows the foot and leg to flex at a downward angle while climbing on glaciers and steep snow while keeping the crampon points in the ground pied a' plat style. The lace system is very smooth thanks to ball bearings that allow the laces to glide effortlessly. It does make a difference. There are lace locks that allow you to adjust the fit to your liking and it holds well without slipping. The tongue is adjustable and has a piece of Velcro that allows you to move it up or down. This made a huge difference on fit. With my high instep I adjusted the tongue upwards and it gave me a lot more room in the instep area. I've used these boots on several mountaineering trips now and they seem to be holding up well. They are warm enough for me to use on 14,000 ft mountains in all four seasons and are waterproof. The Vibram Dolent sole seems to have good grip on rock, snow and ice. The boots are very well constructed and I haven't had any wear issues (and I'm really tough on boots). I have a set of Petzl Lynx automatic crampons and they fit this boot without any issues. On another page one reviewer had issues with premature wear on the soles, but I haven't experienced this. The boot is a bit heavy and there are lighter options out there, however if you're tough on boots you may want to stick with leather construction like on the Lowa or other boots. Nice review of your boots, Matt! Thanks for sharing it. Where was your picture taken? 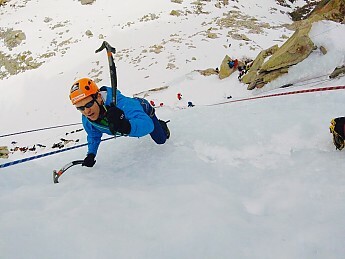 Hi Alicia, this pic was taken from a recent ice climbing trip on Chouinard Falls in Lee Vining Canyon, which is just past the eastern border of Yosemite National Park. One of my buddies hooked his GoPro to an ice screw and remoted in on his phone and got some cool photos. Nice! Thanks for sharing the picture (and review), Matt. These boots got sent back to Lowa. Total 180 on this review. Toe rocker allows more efficient gait on hard surface. Excessive pressure on my 5th Metatarsal. Wide forefoot may be issue for Lowa fit. Composite material of heel welt cracked after 1 year of use. Roughly 15 hikes/climbs. This review started out with a positive regard to these boots, although there have been a particular set of circumstances that have left a bad taste in my mouth for these boots. I hiked and climbed in these boots for half a season with no major issues and they appeared to perform quite well, although I did begin to notice a pressure spot on the lateral aspect of my 5th metatarsal which became progressively worse with each climb I did (ice, alpine, and hiking). By the end of this season (2015), I had 8/10 pain in my foot after just 1 hour of climbing. To make matters worse, I discovered that the heel welt on the left boot had a 1.5" crack running horizontally where the welt meets the heel. The pressure spot I can attest to poor fit which I understand happens with fitting these types of boot. 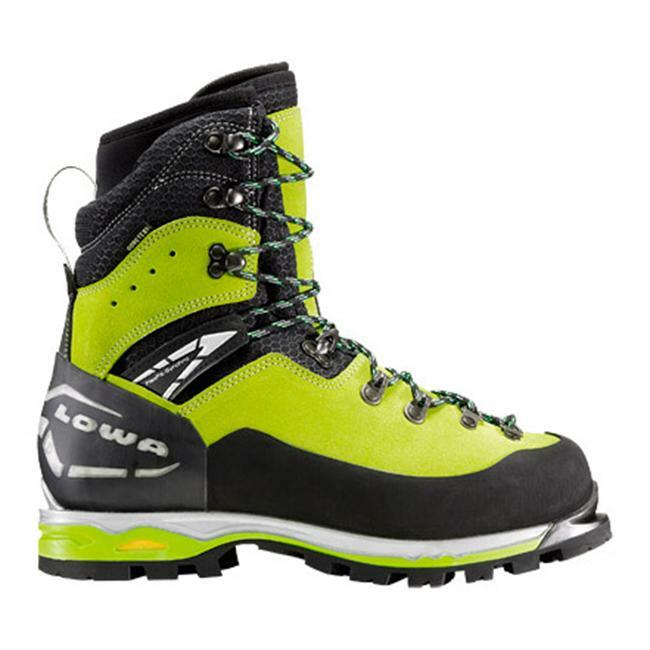 I have a fairly wide forefoot which the new Lowa boots (Weisshorns and Latok) do not seem to fit well with my foot. The crack is a structural defect and I returned these boots to Lowa and will not be donning a second pair come next season. On a side note, the boots I wore prior to these were the Lowa Mtn Expert GTX which I loved and beat the snot out of with no issues. You will never "have" to retreat them, as GoreTex is a membrane water will not permeate. You will only want to re-treat if the leather starts to absorb water (which will then just sit in the leather as it can't get past the GoreTex). It is a temporary solution to preventing snow from clumping on the boot, hence preventing water from absorbing in the leather which can freeze. Thanks for updating us on your boots, John. It's too bad they didn't work out well in the end.